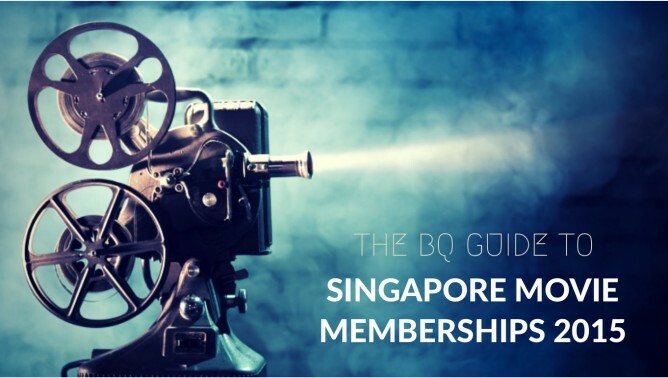 In this post we will be talking more about the different memberships available with cinemas, their perks and how to sign up. Let's start! Ok, so in Singapore, you can't mention a cinema without talking about Golden Village. This leading cinema exhibitor has 11 multiplexes in Singapore, with the latest flagship at Suntec City. 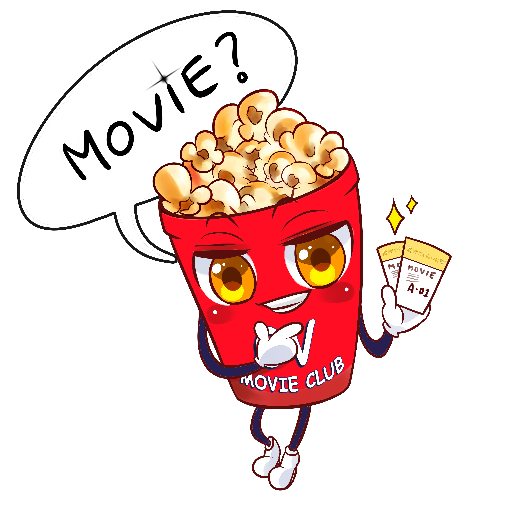 You have to sign up for their Movie Club cuz membership is free! You can get members exclusive promotions regularly such as travel, dining deals or even movie hampers and vouchers! 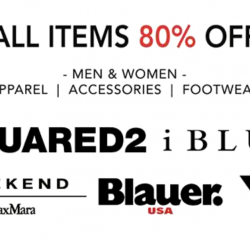 Check the latest promotions here! Promtions shown are valid as at 13 Oct 2015. - Valid so long you clock in four different movies in four separate transactions per calendar year. - Submit your particulars online to start enjoying movie treats like never before! - You must initiate a first time log in then proceed to collect your iconic membership card from any GV Box Office to activate your membership. - This membership is only applicable for Singapore citizens & Permanent Residents only. WE Cinemas (previously known as Eng Wah) has rebranded themselves to providing a new cinematic experience now. They have only one cinema in Clementi but their membership programme is pretty elaborate. Full Online Membership Access: Get to track your transactions as well as participate in all online contests where you stand a chance to win prizes or exclusive movie premiums. Discount off selected Movie Tickets: Now you can enjoy your favourite movies at great value! WE Club members get to have exclusive discounts as part of the members' privilege. It's our way of rewarding you for loving movies with us. *Applicable only for over-the-counter transactions. 10% Discount off FIRST CLASS Ala Carte Menu: Wine and dine in FIRST CLASS and we'll offer a preferential price just for you. Best Seats in FIRST CLASS As a privileged WE Club member, you can be sure that in FIRST CLASS, you'll get the VIP treatment even before you arrive. We'll hold the best seats in the house just for you. *Applicable only for over-the-counter transactions. On a 1st-come-1st-served basis. Special Price on FIRST CLASS Movie & Dining Experience: A movie dining experience in FIRST CLASS is extra special and WE Club members can be assured that we'll give you the best value too. 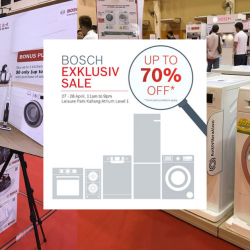 Top Spender Lucky Draw: Hey, big spender! As a WE Club member, we'll be able to reward you when you spend with us. With minimum $150 spend per month, you can be a winner of fantastic prizes. Additionally, it automatically grants you entry in the Club Spender lucky draw. Club Spender Lucky Draw: You'll have bragging rights once you're winner of our Club Spender lucky draw. With minimum $800 spend in a year, you'll be in the running to win the grand Club Spender prize. Exclusive Invites to Special Screenings: Expect to walk the red carpet, rub shoulders with the stars with WE Club. Receive exclusive invites to movie premieres, events and special screenings. That's just one of the perks of being a WE Club member. Exclusive Contests & Lucky Draws: There are a host of opportunities to enter movie contests and lucky draws to win fantastic prizes with WE Club. These exclusive contests and lucky draws mean rewards are endless when catching your favourite films at WE Cinemas. Birthday Treats: Enjoy an action-packed birthday month on us with promotions, offers and entitlements because if it's your special day, we want to celebrate it with you. WE Club Queue: Skip to the head of the line with a members-only privilege, the WE Club Queue, where you don't have to wait in line with the rest at special events because we've saved a special privilege just for you. WE Club Movie Influencer: Love it or hate it, have your say and be heard. Get to be a movie critic on our website and we'll put your voice out there. Merchant Discounts: Realise the possibilities of being a WE Club member. The privileges don't just stop at WE Cinemas. We work with partners so that WE Club members are rewarded even beyond our doors. 10% off WE Cinemas Merchandise: Make your movie experience even more special with our Personalised Movie Gift Cards. With WE Club, enjoy 10% off your personalised order. Hotline for Group Bookings: Looking to celebrate with friends and family? We'll render our personal assistance to ensure smooth coordination and effortless event-planning. 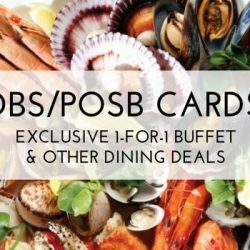 Discount off selected Movie Combos: Hungry for more? 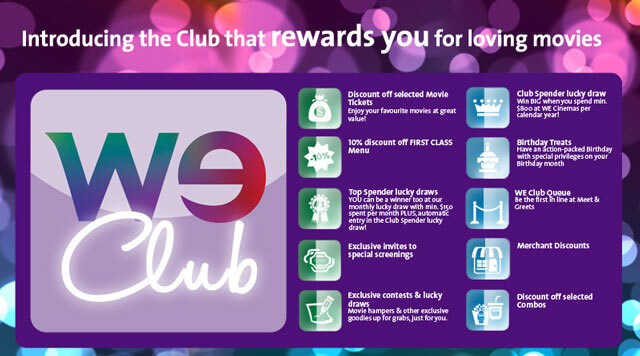 Benefits to being a WE Club member include discounted munchies at our cinemas. Need we say more? Membership is valid for 3 years. Each membership is automatically renewed upon spending $100 on movie tickets and/or combos per calendar year. STEP 1 - Register for an online account here. Once your registration is complete, visit our box office to collect your WE Club card. STEP 2 - Activate your card online.If you are unable to apply online, you may do so at any of our WE Cinemas outlets. Your email address will be required for the application, the same email address will also be used for the online card activation. Your WE Club card will be issued on-the-spot. Shaw Theatres do not have their own membership programme, however there are movie discounts for Safra members. 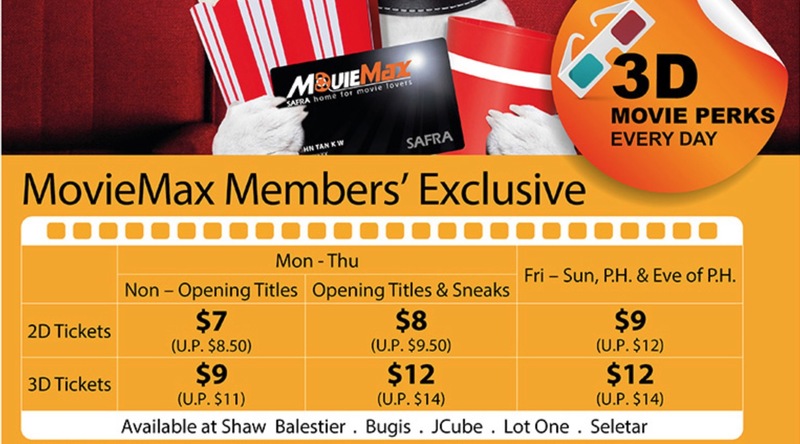 If you are a Safra member and are an avid movie goer especially at Shaw Theatres, we recommend that you sign up for their MovieMax membership at $30 for 2 years. BQ hopes that this was useful for you and remember to subscribe to our mailing list to stay updated on the latest promotions! Also follow us at Facebook here!